Topping many of those “places you must visit right now!” lists, Portugal has finally been discovered as a desirable destination. The heartwarming culture, delicious food, and charming architecture draw most people in, but few know that the country offers a wide variety of outdoor adventures. With hiking, forest to sea mountain biking, surfing, climbing, and diving, there is something for everyone in this European country. Looking to get out of the hustle and bustle of the tourist grind? Just a short train ride from Lisbon, the rural city of Sintra is well-known for its castles, gardens, and well-maintained forests. But few know that it’s laced with trails just waiting to be explored. The Santa Maria Trail is an easy one that’s just over a mile and hits two of the most famous sites in Sintra: the old Moorish castle and the Park and Palace of Pena. Portugal may only have one national park, but Peneda-Gerês National Park in the far north of the country is worth checking out. Hugging the border with Spain, “Gerês” as it’s called locally, offers plenty for hikers to explore on miles of old shepherd trails that crisscross the park and can even be combined to form multi-day treks. April and May are a great time to visit when the wildflowers are in bloom, and you might even catch a glimpse of the famous wild Garrano ponies that are native to the region. 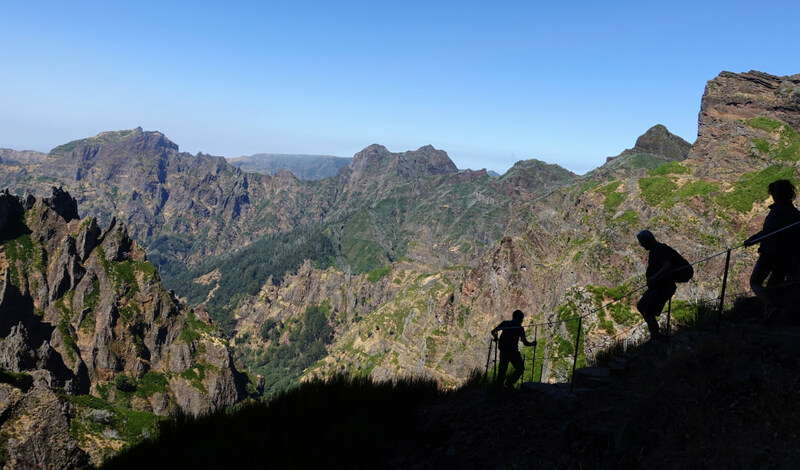 Madeira, one of two autonomous regions of Portugal, is a hiker’s dream. The island is located off the coast of Morocco, and while the ridiculously steep volcanic landscape might be off-putting for some, don’t be fooled. There are plenty of opportunities for every level to stroll along the famous levadas (aqueducts). Some of the most popular are the Levada do Caniçal, Levada do Caldeirão Verde, and the Levada do Caldeirão do Inferno. If you’re looking for a challenge and one of the most spectacular hikes of a lifetime, try the famous three-peak mountain hike from Pico do Arieiro to Pico Ruivo. Traversing across steep ridges and passing through tunnels carved from the mountain itself, it’s a route unlike many in the world and may leave even the most experienced trekkers a little weak in the knees. 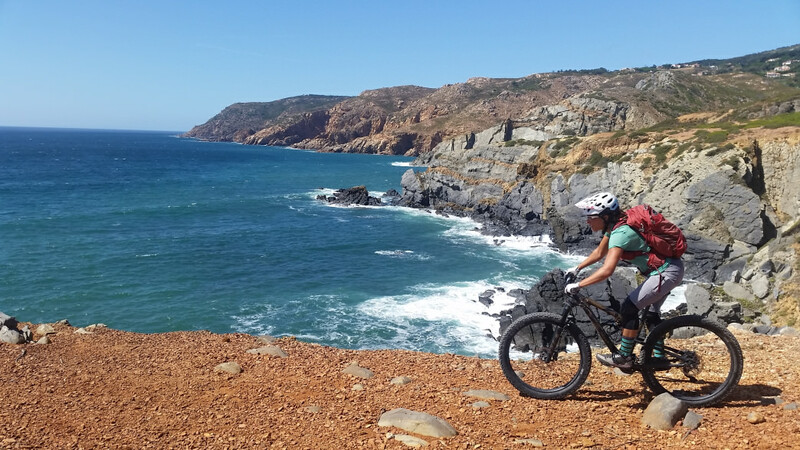 Reaching from the World Heritage town of Sintra to the Cabo de Roca on the Atlantic Ocean, the forests of the Sintra Mountains have epic singletrack ranging from fun flow fests to full-on downhill tracks with jumps and drops. The trails often lead right down to the sea so that you can end your ride with a dip in the Atlantic. There are several guides who make a living showing tourists where to shred like locals if you want a little insider beta. Madeira’s terraced hillsides have some of the most beautiful and fascinating trails on the planet in a magical sub-tropical climate. Sitting atop a massive shield volcano that rises about 20,000 feet from the floor of the Atlantic Ocean, mountain bikers of all levels need to add this secret spot to their bucket list immediately. Any discussion of surfing in Portugal must start with the massive, world-famous waves at North Canyon in Nazaré. While many people come only to watch some of the world’s best big wave surfers do their thing, it also has some of the country’s most consistent surf. 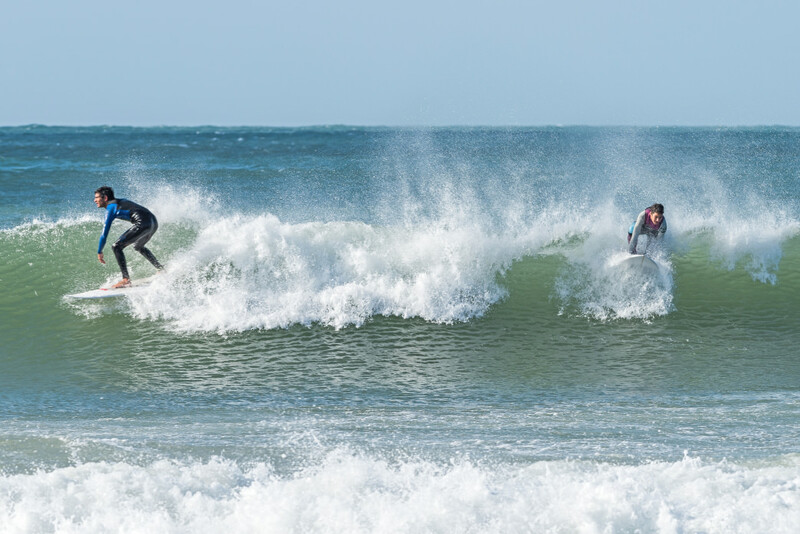 Winning points for accessibility, only twenty minutes from Lisbon, the birthplace of Portuguese surf can be found at Carcavelos. This popular beach is over a mile long and offers great opportunities for both beginners and pros. And last, but not least, the sunny southern Algarve offers about 50 surfing spots along the region’s west coast. Rock climbing in Portugal may never gain the epic status that surfing has, but there are several great sport crags and bouldering areas near major tourist destinations. Near Lisbon there is some nice bolted granite around the hills of Sintra. A few miles away, Cascais offers sea cliff climbing. 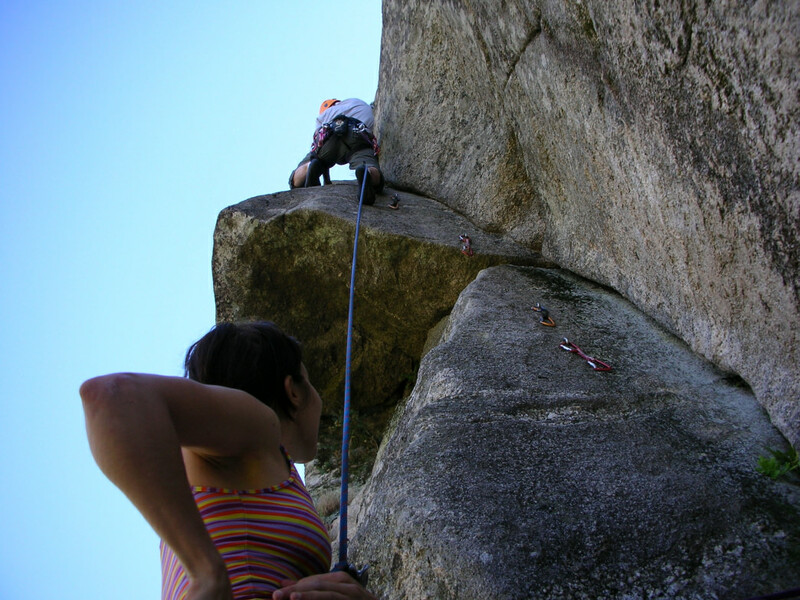 To the south, between Sesimbra and Setubal, there are three sport climbing areas. Known more for its fabulous beaches and surfing, the Algarve has a few climbing spots, but the best is the the crag at Rocha da Pena. There are several sport routes on solid limestone and some steep trad sea cliff climbing on the rocky outcrop of Sagres. In central Portugal, there are several picturesque cliffs with short, bolted routes near Montejunto, Reguengo do Fetal, and Redinha. The country’s premier bouldering area is called Pedra do Urso, near the town of Covilhã. The rough granite boulders have thousands of problems for all levels, and the temperatures remain more moderate throughout most of the year than the coastal locations. Any country made up of mostly coastline must have some good diving right? Not far from Lisbon is the small cliffside town of Sesimbra, where you’ll find the Nature Park of Arrábida. In this protected marine area, divers can explore several wrecks and find a good selection of fish, octopus, and some interesting underwater topography. Head north to Porto, and there are two wrecks worth checking out: the U-boat 1277 and the Tiber. The most popular diving areas are in the Algarve region, where you can explore 17 different dive sites, like the underwater Caves of Atalaia, the Garden of Atalaia, and more shipwrecks. To dive with the ‘big stuff’, the Azores are the way to go. Azores is the other autonomous region of Portugal and is an archipelago of volcanic islands about 935 miles west of Lisbon. It’s here that divers come to swim with a wide variety of whales, dolphins, turtles, sharks and large sport fish. The underwater landscape is spectacular with large caves and arches, and the visibility can reach up to 100 feet. 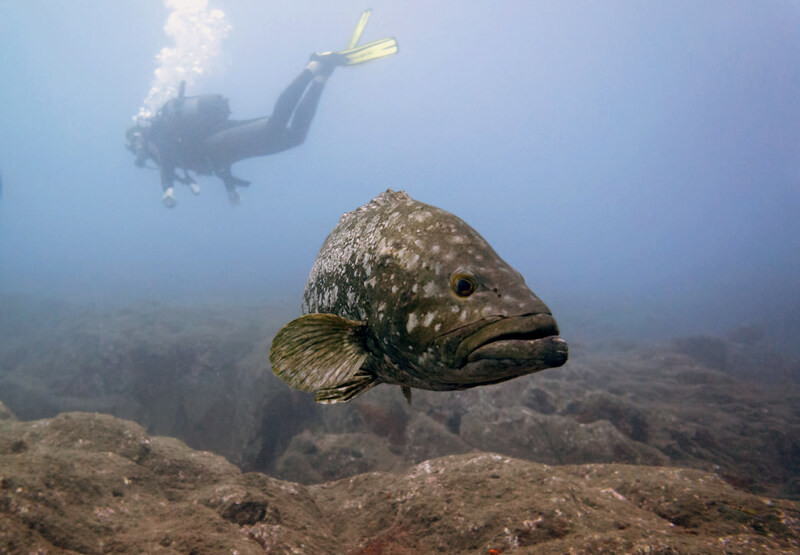 The island of Madeira is another good choice for divers of all abilities. The Garajau Parcial Nature Reserve is well-known for its large goliath grouper colony and has a diverse range of other species to look for as well. No matter what your level of experience might be or how willing you are to shlep tons of gear while you’re on vacation, Portugal has opportunities aplenty to get sweaty and dirty from sunrise to sunset. But we’re pretty sure you’ll have a smile on your face the entire time.